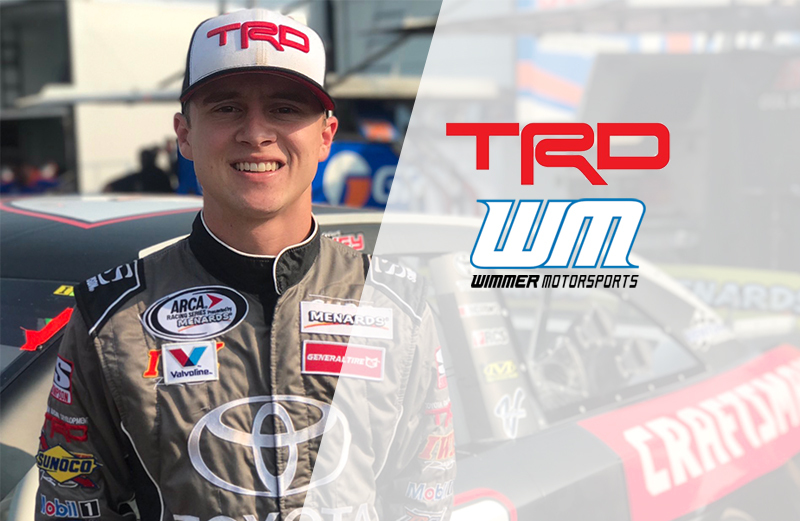 Wimmer Motorsports is excited to partner with Toyota Racing Development (TRD) to field a car in the World Series of Asphalt Stock Car Racing at New Smyrna Speedway in February. USAC Champion Logan Seavey, a longtime TRD driver, will pilot a new Wimmer Motorsports-owned No. 21 Fury chassis Toyota Camry Super Late Model. While Seavey’s pavement experience is limited, the expectation for his time at New Smyrna Speedway for the World Series are still high. The California driver has two career Super Late Model starts, with one seeing him set a new track record at South Boston Speedway in Virginia. On the flip side, Wimmer helped Harrison Burton to seven New Smyrna wins, 14 top-fives and a World Series of Asphalt Stock Car Racing championship over the last three years. The World Series of Asphalt Stock Car Racings kicks off on Thursday February 7th with practice. Seavey will miss the first two races at New Smyrna due to his USAC commitments, but will be at New Smryna Speedway starting Monday, February 11th. For more information on Wimmer Motorsports, please visit wimmermotorsports.com and follow Wimmer Motorsports on Facebook and Twitter.